Writing is known as redefined thinking which empowers your thoughts and what a Jackpot if you are able to earn money with this talent of yours! 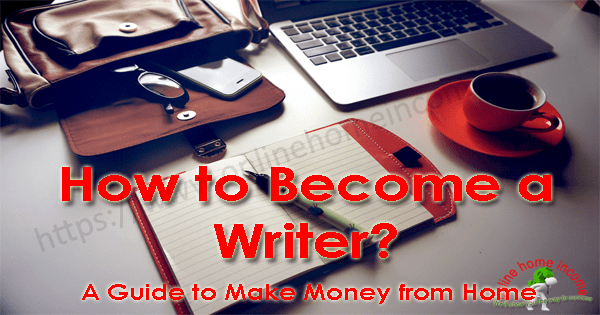 But how to become a writer to earn money? Because today writing is not just a mere activity for leisure. It has developed into a full-fledged profession. Many people are earning a lot just by writing either through full-time or part-time jobs. They are using their skills to make money through efficient writing. There is no such thing as good or bad writing. There is only effective writing. Many people just started writing without any idea and strategy and then end up as failures. If you want to learn on how to become a writer and earn money from it, then you are in the right place. There are a number of jobs available for people who want to write veritably. This article is all about on how to become a writer and make money from it. 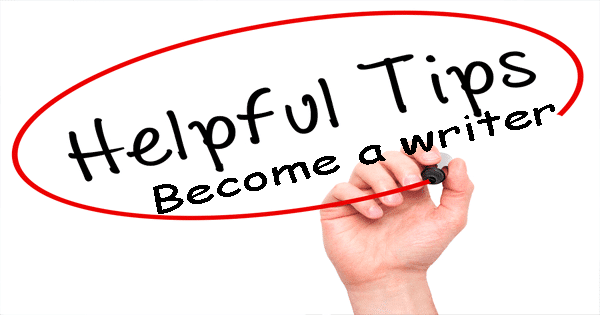 Writing is suitable for which type of people? Almost everyone in his or her life has to write. The difference is that some take it as leisure, some as a part of their job. Some people take it as a source of learning something new along with the earnings. The later ones are the most successful ones. Just to be able to write is not a supertask but to be able to write differently with creativeness and smartness is the real game-changer. It was said in the past that writers are mostly introverts but now this notion has been proved wrong. Becoming a writer is not related with introversion or extroversion. Writing is for anyone who has better communication skills and is able to connect with the readers. Now I will explain each of these steps one by one on how to become a writer and earn money from it. First, you have to identify properly and peacefully that whether you have the required talent or not. This might feel a bit difficult at first but with some efforts, you may be able to acknowledge your writing talent. Sit in a room and try to focus on yourself. Think if you have a fetish to write at any time and any place. You can also ask your folks, friends and other people in your social circle who are close to you to help you with your decision. After examining yourself a little, check if you have the following skills or not. Do you have these four ” tive ” Principles, to be a good writer, see if you fit these or not. Think calmly that are you able to visualize things. Are you able to think differently from the boring people around you? Are you innovative and original or just a persona? Good communication skills are essential to become a writer as it has a special connection. If your content is the heart, then your communication skills are the blood of your writing. See if you are able to understand people deeply. Are you able to see the gloomy side behind their broadened smile? For a writer, understanding the needs of his readers is the primary task. If you fail here, your writing fails too. Again check if you understand the people around you? Are you familiar with their interests? 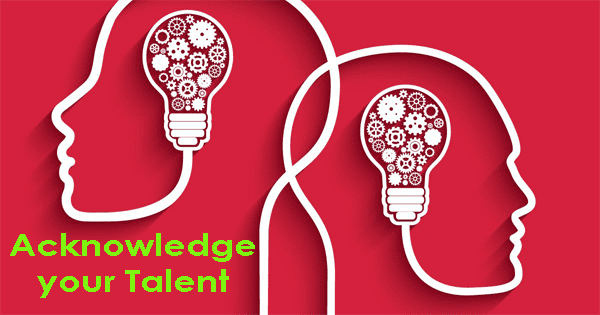 Now after acknowledging your talent, choose proper field according to your own taste. You have to get a control over your concerned subject before becoming a writer. Imagine yourself rolling into a swimming competition while you have never swum throughout your life! Same is here that you have to know the tactics, the schemes, and techniques of your concerned profession. We are not living in the 1960s where you can only be a doctor or an engineer. We have a lot of choices now e.g fashion industry, telecommunication, reporting, literary art etc so be wise in your selection. This step needs a lot of attention so don’t squander your talent by randomly choosing any field or selecting a field of your parents choice. I am mentioning it because I have seen a lot of students choosing the wrong fields due to their parent’s pressure. Choose wisely by considering major aspects of any profession because making wrong decisions may provide you a source of income but not happiness and satisfaction. 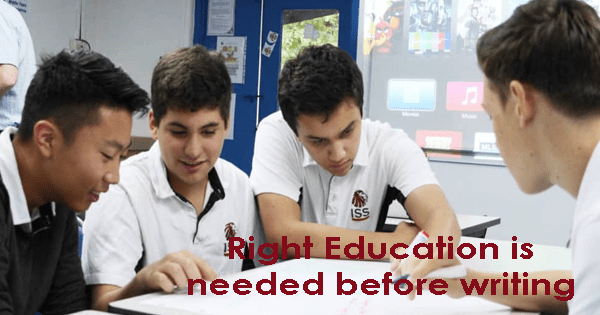 Now after you have chosen the right field, opt for the best colleges and universities for the right quality of education. Now you are all ready to show your talent to the world. 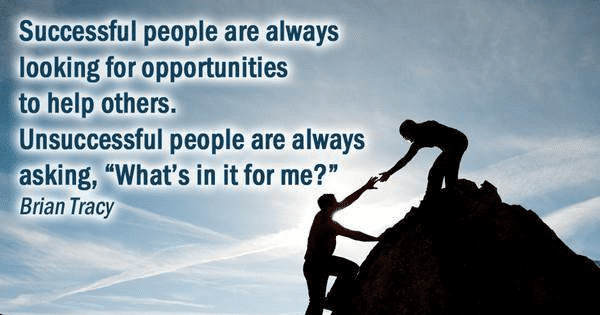 Opportunities are spread everywhere for the people who really look for them. Just wondering here and there aimlessly and complaining is not gonna work. You yourself have to search for the jobs to become a writer. Nowadays people do online as well as offline jobs. A number of part-time and full-time jobs are available for writers, for eg., Office jobs, Freelance writing etc. A number of opportunities are available for the people who want to step out of their homes to earn money and those who don’t want to. Many companies, firms, and agencies want to hire people who want to become a writer with skills and new ideas. It is a common saying that “Girls change their skirts styles every night”. Because most of the girls are so much crazy about the latest fashion nowadays, this industry is grooming a lot. Nowadays a number of fashion designers are launching their outfits every fortnight. So what’s your piece of cake here? You can give your reviews on the style and clothing wore by the models during the ramp walk and tell the people about the latest fashion brands. You can also help people in selecting the right outfit for a particular event by your writings. Humanities which has a direct relationship with human nature is considered as an under-rated profession by some people in the Asian countries nowadays. They think that only science subjects can provide them with a larger scope in later life. However, I feel that it’s not true because if you have opted for this field, you can learn as well as earn a lot and it has a lot of opportunities. You can aspire to be a novelist, poet, drama-writer etc. Due to electronic media, now news spreads like fire in the jungle. So journalism is a qualitative writing job. You have to observe your surroundings, gather information and then write the journals. You can write about headlines and columns about the current affairs, sports, and other incidents. Although the internet has turned the world into a digital world but still there are people who love print media. They thoroughly read books and newspapers because they know that books are the lighthouses for the darkness of this world. As a writer, you can benefit the most from these. You can write books on different subjects or send your entries to the newspapers. Online writing jobs are of great help to the people especially students and housewives. These people usually don’t want to step out of their homes so they can work within the boundaries of their houses and make money online from it. A blog is a piece of writing on the internet about a specific topic. It may be about business, cooking or any other thing. You may start your own blog or associate yourself with any competitive blog website. I shall recommend the latter one in the beginning as you will just be a newbie. After you think you have earned an experience with this job of yours, you can start your own blog. Freelancing means to do a job without any long-term commitment. Becoming a freelancer is a good choice for the beginners as they don’t want to relate themselves to any job with a little or no knowledge. A number of platforms are available all over the internet for becoming a freelancer e.g. Fiverr, Amazon Mechanical Turk, Upwork etc. Firstly you have to register yourself on any of these sites. Then post a request describing yourself and your writing services as well as your charges. Afterward, the concerned person may contact you and then you can complete the task. It may be anything e.g. writing an article, reviewing or any other job. Now after completing several orders, you may associate yourself permanently to them. You might be thinking how to be a writer for marketing. They are a number of companies who hire people to tell about their business and brands. Freelancers may be involved but usually experienced people do this job. Writing E-books have become very common nowadays. To become a writer for e-books, you just have to pick up an engaging topic, express yourself and sell it on the internet. Nowadays the best platform for e-books is Amazon where thousands of e-books have been sold. Now after you have chosen the right writing job according to your interest, start writing. Write on daily basis and with more diligence every day. “Stopping a piece of work just because it’s hard, either emotionally or imaginatively, is a bad idea”. In the beginning, you may think that you are a useless punk but without your conscience, you are actually improving. It might be that you may get negative reviews from your readers in the start but still don’t stop your practice. Try to be positive as much as possible. “Optimism is a perfectly legitimate response to failure”. Don’t demoralize yourself, work on your flaws and improve your plus points much more. To become a good and effective writer, examine other people who are already doing well in your profession. Consult them and share your related problems with the gurus of your profession. You just don’t have to become a writer but you have to be an effective writer who is able to connect with his readers. As you will continue writing, you will improve eventually. Your hard work will start to bear fruit but even at your peak, you will receive critical views. Be diplomatic and make those views your strength to lead yourself to the road to success. Remember no one is perfect and everyone has to face criticism in their lives. Even J.k. Rowling who is considered as the Best-selling author for her masterpiece “Harry Potter” series had to face off critics. The critics commented that “Her writings contain too many adverbs”. But she did not stop and continued with her work. Along with hard work, smartness is needed equally. All over the world most of the people just aim to be rich by hook or by crook. They just want to make millions of dollars and ultimately end up as bankrupts and failures. They just keep on working without any specified direction. Take a lesson of your life from those people. Start to think more deeply and indulge yourself in new ideas and concepts. Aim to learn something new every day about earning money. Focus more on learning rather than earning. If you will run after money, you will never be successful but if you will run after improvements and skills, money will chase you. So you have to blend diligence, hard work, good-will, and smartness and it will create a near to perfection mixture. Consider a situation where you have consulted a doctor. The doctor gives you a prescription slip of two-paged length. You shall probably start staring at the doctor because you know the name of the medicines should be in a brief and concise format covering only a quarter of a half page. Every profession has its own rules of writing. There are a set of principles which have to be followed while dealing with that profession. Business writings are usually concise and precise. So if you are concerned with this category, cut to the chase and depict your idea in simple and clear words. Present about your services and brands in an attractive and formal way. “The best writers strive to write in a style that is so clear that their message cannot be misunderstood”. Stories and novels are written in an informal style. No proper grammar and rules are required to follow to make your content in your own way. You are free to write within certain boundaries. You may use any native or traditional word to clarify your meaning. Make use of adverbs and fillers properly. “The object of fiction isn’t grammatical correctness but to make the reader welcome and then tell a story”. News writings are generally spicy and attractive to lure the audience. You may say that the packaging is very good although the inside may be a rotten apple. They are usually brief and succinct. Tips on How to Become a Great Writer? Although each field has its own rules of writing still there are some things which usually apply to all of them. Here I have given some tips on how to do effective writing. The most important thing about good writing is good reading. Only those people are able to write effectively who read a lot. There are innumerable sources for this purpose so try yourself some of them and read regularly. Before proper writing, prepare a draft. Think of refreshing ideas and start jotting them onto a piece of paper. Don’t look for grammatical mistakes yet and think of as many concepts as you can. Jargon is defined as a specific language for a specific piece of writing. Try to avoid it as much as you can because it will only complicate the things. Try to use simple and familiar words. For becoming a writer, try to think beyond the barriers of this world. Use your imaginative powers and think of something new, something unique but maintains your relationship with reality. Grammar, Punctuation, and spellings are very important as the wrong use of them will paralyze your content. Don’t use any word or write any sentence unless you are sure about its context to be a good writer. Writing rules are not a matter of death or life so don’t just stick to them to be a good writer. Try to bring variations and uniqueness to your content. Think of new vocabulary and sentences every time you begin to write. After you have written your piece of writing, make an audit. To become a writer, examine it with the air of a connoisseur and a reader. See where more and where less improvement is needed. Read critics reviews of your writings and welcome positive as well as negative reviews. Also, focus on your reader’s comments and connect with them through offline and online sources. Always be updated about any news related to your profession. Journalism is always about staying updated about all the happenings around us and not only journalism every profession needs updates. For this purpose, be a good observer and stay connected to the world through uncountable sources. Use those updates for the betterment of your writings. Learn if there is any change in format, style or any other thing related to your job. Try to stay motivational and positive all the time. Strive to challenge the negative vibes instead of wiping them as it will help you in facing real life. In the beginning, try to be positive but as time goes on, try to accept negativities too. You can’t just consider your life a bed of roses so try to accept realities of life. Life has negativities and positivities too and doesn’t be just positive, be realistic. Now after you have achieved success, don’t just limit your experience to yourself. Be a source of guidance for the newcomers. Create opportunities for them. Provide jobs to those who want to work with you. In this way, you will show that you are not just earning but also providing benefits to others. Bonus Tip: Are you searching for Content Writing Jobs? There are many sites where you can start working online and earn money for writing articles. I hope this article may charge you a little up to try your luck with writing contents. Remember you have to take risks in life. To become a writer, plan and then start writing. If you fail, it’s no big deal. Just remind yourself failing is not a sin but to stop trying due to the threat of losing is the main crime.